All faculty, staff, and students (University community members) share the responsibility of immediately reporting to the Campus Public Safety, when they believe that a student is missing. 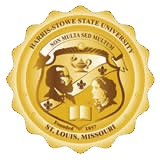 If a member of the University community has reason to believe that a student, who resides in on-campus residential housing, is missing, he or she should immediately notify the Campus Public Safety at (314) 340-3333 or the Dean of Student Affairs at (314) 340-5112. Campus Public Safety will investigate in cooperation with the Dean of Student Affairs and the Director of Residential Life. Campus Public Safety will notify the St. Louis Metropolitan Police within 24 hours of the determination that a student is missing. In addition to registering a general emergency contact, students are expected to identify an Emergency Contact for purposes of notification in the event the student is determined to be missing. A student’s confidential contact information will be accessible only by authorized University personnel and law enforcement officials in the course of a missing persons investigation. If the missing student is a residential student, Student Affairs, Residential Life and Campus Public Safety will conduct a preliminary investigation of the student’s whereabouts. If a student designated an Emergency Contact person, the Dean of Student Affairs will notify him or her no later than 24 hours after it’s been officially determined that the student is missing. If the residential student is determined to be under the age of eighteen, and not an emancipated individual, the Dean of Student Affairs will then contact the residential student’s parents or guardian and any other designated contact person within 24 hours of the residential student being determined missing.